We are the dynamic, business-oriented organization, ranking among the utmost entities in providing Concrete Mixture Half Bag. Offered product is manufactured by our professionals utilizing high grade factor inputs & leading techniques in conformity with quality standards. The product offered by us is well tested against assorted quality parameters in order to ensure its flawlessness. Also, clients can avail this product from us at market prices. Batch Capacity: 10CFT Unmixed/7 CFT Mixed. Air/ Water Cooled Diesel Engine or 5 H.P. 3 Ø Electric Motor. Mixing Drum:A) Heavy Duty drum & M.S. Blades for efficient mixing. B) Cone made out of 10 gauge sheet. Loading Hopper Mechanical / Hydraulic Heavy Duty made out of 10 gauge sheet. Optional Water tank 35 Ltr Capacity. With huge appreciation by our clients, we are engaged in offering a combined range of Wheel Barrow. Our offered wheel barrows are manufactured utilizing finest quality material and advanced technology following the standards of industry. The wheel barrows offered by us are checked in terms of quality before delivering at customer’s end. We are giving these wheel barrows from us on diverse specifications. 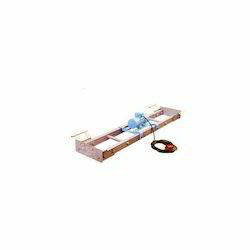 3.5 x 8 Pneumatic Wheels(Scooter Tyre)- 1 No. 3.5 x 8 Pneumatic Wheels(Scooter Tyre)- 2 Nos. 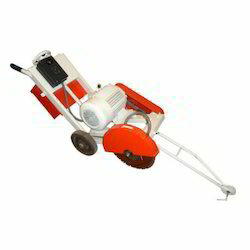 Concrete Groove Cutter machine is also known as concrete cutter. 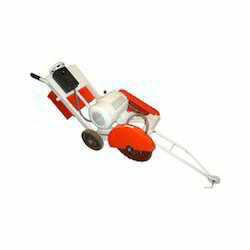 It is mainly used to cut Grooves in RCC roads. Suitable Needles: 1.5 / 1.95 H.P: 25 / 30 / 40 mm Ø needle with 6 mtr. Long flexible shaft. 3 H.P: 25 / 30 /40 / 60 mm Ø needle with 6 mtr. Long flexible shaft. Owing to a long-term destination for our business, we are engaged in offering a wide gamut of Concrete Batcher. 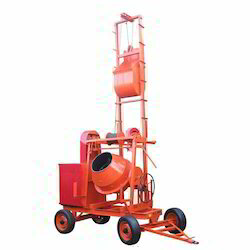 The offered concrete batcher is designed keeping in mind the standards of market using excellent quality of material. 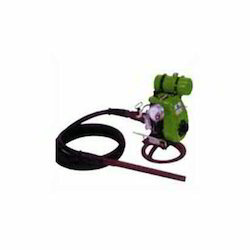 This concrete batcher is valued among customer due to its superior finish. 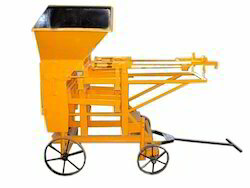 Customers can easily avail this concrete batcher from us in a confine time at nominal rates. We are counted among the most distinguished organizations engaged in manufacturing, supplying and wholesaling a quality range of Pan Mixer. While manufacturing these pan mixtures, our professionals strictly follow industry laid norms and standards. 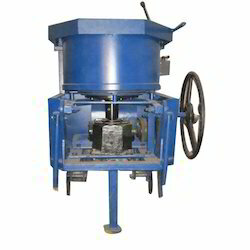 Along with this, our professionals ensure to employ advanced machines and utilize premium quality material to manufacture the pan mixtures offered by us. Also, our experts conduct several tests to ensure the flawlessness of these pan mixtures, before the final dispatch to the customers shreeji instruments company are leading suppler in all india . With an increase proportion of technology we are providing a qualitative assortment of Concrete Loading Lift. This loading lift is designed employing quality-proven material and high-end technology following the current market standards. Our offered loading lift is checked on numerous parameters before supplying in the market. Customers can avail the offered loading lift from us in various specifications as per their requirements. Engine Manufacturer ISUZU Engine Co., Ltd.
Capacity: 1000 kg gross load carrying capacity. Speed: 33 metres/min. But can also be designed according to the specific requirement. Winch: Prime mover: 15 H.P. /18 H.P. Diesel Engine or 12.5 H.P. Electric Motor. Drive: Friction roller type with self-aligning bearings. Chassis: Heavy duty robust made out of heavy steel section. Wire Rope: Heavy duty (12mm) steel core wire rope. Optional Handling: Pneumatic tyre with roller bearings with excel shaft or M.S. Wheels. Max. Weight with floating disk: 95 Kg. 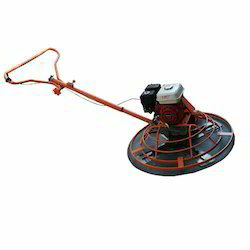 The teams of engineers in our company are proficient enough to design and manufacture the best quality of engineering constructions machines like Vibratory Earth Rammer / Plate Compactor machine which are widely applicable in different industrial construction applications. These machines are designed under strict quality parameters by our quality panel of engineers to provide best quality machines to our clients. These machines are designed to perform. 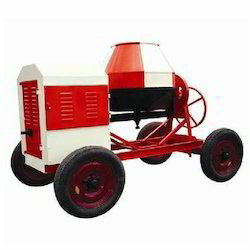 The material used in manufacturing of these machines is of best quality standards that provides the durability and high performance of these machines. Our clients can avail these machines in accordance to their requirement. 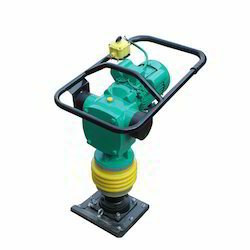 These machines are available in different type of models namely 8-ton Ramming, 4-ton Ramming and Little Giant Model. 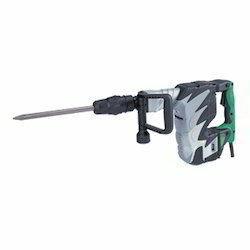 Little Giant Model: Impact force: 850kg. Depth effect: 6 inch, Compaction area: 4000 sq.ft.